I woke up really early today...like 5 am. This is not normal for me, as I'm created to be a night person. The sun wasn't even peeking through my uncovered windows disturbing my slumber. Billy's alarm hadn't started breaking the silence. The kids slept soundly in sleeping bags at the side of my bed. Our dog, Lady, slept curled in a ball at the foot of my son. No, nothing was causing me to awake but my whirling mind. You see....God answered our prayers and we have found a buyer for our home of 7 years. (I'll get to those details later.) Right now, my mind whirls with all the details of moving and selling a house. 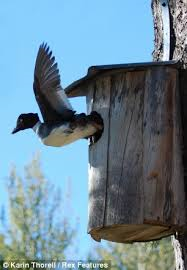 We have a list of things to "fix" according to the home inspection. Tedious things like a missing knob on the gas fireplace and a missing screw on the ladder to the attic. And then a few larger problems like missing screens, replacing accordion blinds and blah, blah, blah.... I'm so grateful that my brother was raised to be a handyman because he is helping us with all these projects and makes them all seem easy. God blessed us all when he gave my parents one son! We are moving into a rental house just a couple miles away and right now some of our belongings are there (like the kid's beds), some is still here and then even more is in a storage unit. This move is a significant downsize so deciding what to do with everything is challenging for me. I'm visual and I kind of want it all at the house so I can "set up" and then they can move what's left over to storage once its all beautified! For some odd reason my sweet husband does not agree with this method to our move! God is blessing us as we move forward in faith. We've already met three neighbors and several children in the neighborhood. Everyone has been so friendly and welcoming. We walked out last night and neighbors were out visiting and kids were playing basketball near the house. They all came right out to visit with us and even offer to help us this week-end! In our current home, we've really enjoyed knowing our neighbors and the kids being able to run and play outside, so this scene was a huge gift to all of us. God provided this encouragement before we've even moved in! The family moving into our home has never owned a home because of the need to move with their work so often. The woman is from Russia and her husband is from Oklahoma! They have 2 children...a boy and a girl. They love to host dinners and parties so they will carry on the traditions of our home. For many reasons they are leasing from us for up to 12 months before they finalize the purchase so we will be renting for this same amount of time at least. I am doing really good. My body doesn't love working in the heat outside as I get fatigued much faster than I used to. I don't lift as much as I normally would moving and packing, but steady wins the race...and we are going to be sleeping in our new house by Sunday! I want to say a huge thank you to so many of you that have helped us stay in our home as long as we have. It has been a huge blessing to recover in this home and have the chance to live some "normal" life again before moving out! We even got to have one last big 4th of July party! Again, God's timing is perfect! "For the word of the Lord holds true, and we can trust EVERYTHING He does." Good morning everyone. I'm sorry I'm just writing an update about my appointments this week. Tuesday was a very full and long day, but Wednesdays few appointments were more emotionally and physically exhausting. I continue to struggle with daily pain and the doctors agreed we were back to square 1, with results after December's surgery gaining us nothing. Dr L did some procedures in the offic...e that he hopes will help relieve the pain. This process was very hard on me, but thankfully recovery is fast and I am feeling hopeful it will help me have less pain once healed. Some tissue, believed to be granulations tissue, was sent off to pathology again. There is not a concern that it contains cancer, but more for precautionary reasons. Thank you friends, for continued prayer. My prayer is that my mind and eyes stay focused on the truth of today so that Christ can perform a good work through me. Philippians 4:13 "I can do ALL things through Christ who strengthens me..."
Today I celebrate my 2nd birthday! The day I became Cancer Free! I also celebrate my daughters birthday, as she turns 8 on this same day. Last year Billy & I missed her turning 7 so that we could be in Houston. I could focus on all the ...hardships that came with that day and the past year, but I don't want today to be about pain, financial hardship, fear and perseverance. Instead, I want to honor the hundreds of people that made sure my daughter's 7th birthday was a beautiful celebration of her life. I want to honor the people that loved on my family and I.
Houston has the worst weather its had since 2009, according to this mornings news. Major roads are closed and many wrecks have occurred. It is cold, gray and gloomy outside, which matches my mood. The day I arrived here was a cold day, but the sun was shining at home and in Houston. The bright glare was coming through the airplane windows to where I had to pull the shade to shut out the light. My friend, Kara, picked me up and we drove to her house to meet her husband and two children. How precious it was to know where she lives and those her life revolves around. 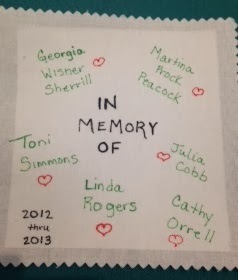 Kara & I met up with Jodi and we attended a cervical cancer summit put on by MD Anderson. Of course, my cancer was not cervical cancer, but vaginal adenocarcinoma. Regardless, I got to attend because they were having a breakout session for women who have had a total pelvic exenteration and well.....I qualify. We met another lady in the room that had the surgery even more recent than I did. She looked so good and was so positive and determined; two qualities I think are key to surviving this treatment. Lets say that this surgery gave me a bit of a new "body shape" and so I have not worn jeans since January. I tried a couple of times, and even used the pregnancy trick where you put the hairband through the button hole and over the button, and it still was terribly uncomfortable. Jodi and Kara are in jeans every time I see them, so they took me shopping to find a pair I could wear. It was so good to put them on and think I could wear jeans and tennis shoes! And there is no elastic waist and no need for a hair band! We had a slumber party at Jodi's house so I got to meet most of her family as well. These women are added to my list of forever friends. I'm so grateful for them. Thursday, I met with infectious disease and he said I only need one more month of antibiotic for my long term bacteria infection. He determined this by seeing that I had no infection flare-ups after my December surgery, which he said would typically occur if the infection was still laying dormant in my abdomen. One less pill is always good news! I celebrated in my hotel room with great pizza delivered right to my door! This morning I called downstairs to make sure the shuttle would still be running with the icy roads. They were a bit behind schedule because only one shuttle driver made it to work, but they would take me. The shuttle driver told the passengers how he stayed with a friend close to the hotel to make sure he could be there for his passengers this morning. He's driven the shuttle for that hotel for 25 years and took personal interest in all of us and making sure we got exactly where we needed to go. Yesterday as I waited for the shuttle to pick me up to take me to my hotel I spoke to a man that was holding a big fluffy red and white blanket. I don't usually strike up conversation with men in this place, but his blanket looked just like one on my son's bed. I asked what was on his blanket and he told me it was his daughter's OU blanket. It was the same! I learned he was from Stillwell, OK just 9 miles from the Arkansas border. I asked if he was the patient and his answer broke my heart. He said no, his daughter was and he had just lost her to stomach cancer a couple hours before. She had just ran a 5k in November and now in January she was gone and he was facing a long trip back home alone. The weariness and sadness, even shock, in his eyes stays with me still this morning. I couldn't bring myself to ask any questions of the other passengers on the shuttle this morning. Today's appointment started right on time because many patients did not make it here on time, or make it at all due to weather. This is the appointment I was leery of and my fears were confirmed. My surgery in December didn't heal right either and now I'm looking at another surgery to correct things. I don't even want to consider another surgery right now, but it is more granulation tissue which causes me continual pain. I was suspecting a problem, as I had asked for prayer a couple weeks ago when I first noticed pain coming back. Hearing the doctor confirm the problem makes it real and something I now must think through. My doctors will be conferencing to determine a joint recommendation and will call me. More waiting.....decisions......time away from my husband and children. My mood and the weather are both gloomy. I think about how it felt flying down here all alone. Fearful at first, but then a I moved forward taking one leg of the trip at a time until a little confidence came, and by this morning it even felt good to be independent. This bird was flying stronger than when I left. My mood became as sunny as the light shining through my airplane window. Now, as I think about this trip by myself, the man I met grieving his daughter's sudden death and my news today.........I must choose to look for the sunshine. I am alive and cancer free! I am able to travel alone. I am able to go home to my friends and family and live life with them. I can wear jeans! I hope when my plane flies above these gloomy clouds today I can see the sun shining bright. I will leave my shade wide open! 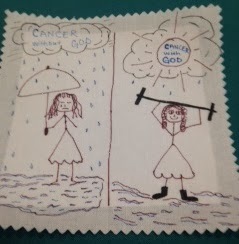 My depiction at the conference of cancer with and without God. blocks the clouds and helps us feel strong, when we are weak. me to be grateful for the GIFT of LIFE! I just signed up for a cancer survivor's summit at MD Anderson. Survivors go for free.......and I get to meet MORE people who have had this surgery and have some open discussion. Also, get to hang out with my new Houston girlfriends and hopefully meet their families! I wouldn't have made the trip just for this summit, but it worked out the same week as my 6 week follow up appointments. I'll fly to Houston the 21st and back on the 24th of this month. I'm a little worried (not at all about cancer) but that some of this skin that didn't heal last time may still not be healing quite right. I'm feeling good, but I am starting to have these tinges of pain in the same area. 4) That our house sells very soon! 7) That God would use our trials to strengthen my marriage, my family, my friendships and that those of us impacted will bring glory to Him.